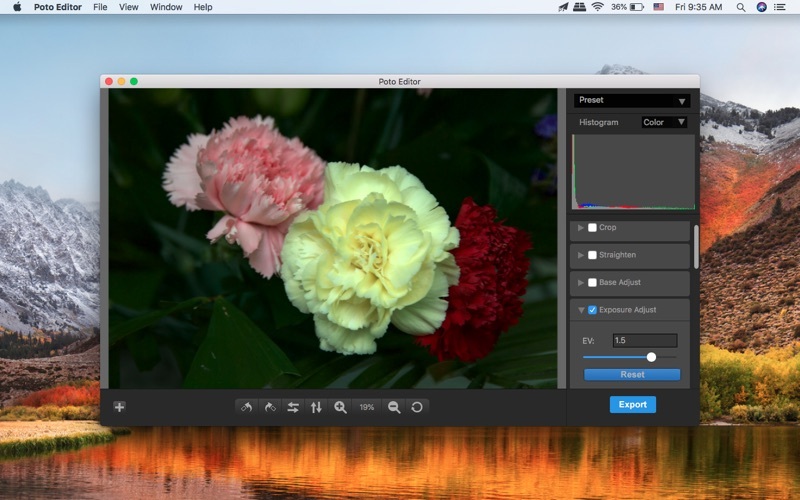 Poto Editor is the integrated photo processing solution which specially optimized for RAW format processing. 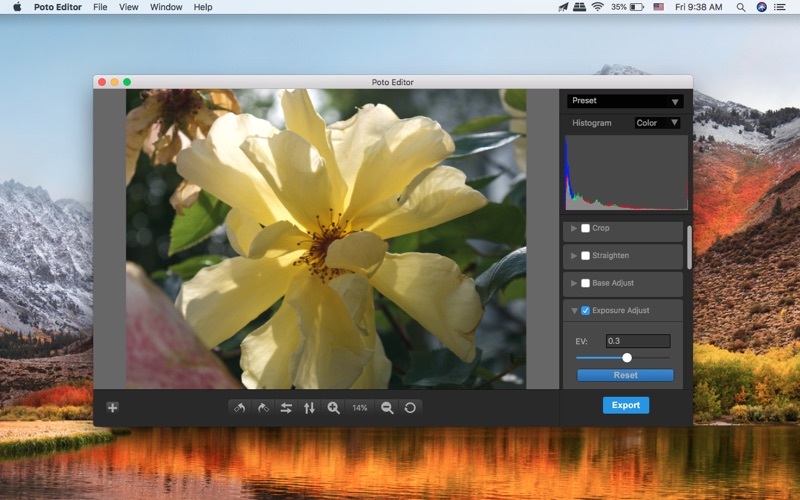 It not only supports simple photo editing operations, such as straightening, rotating, cropping etc., but also supports various photo effects such as mono, transfer, noir, instant and other effects. 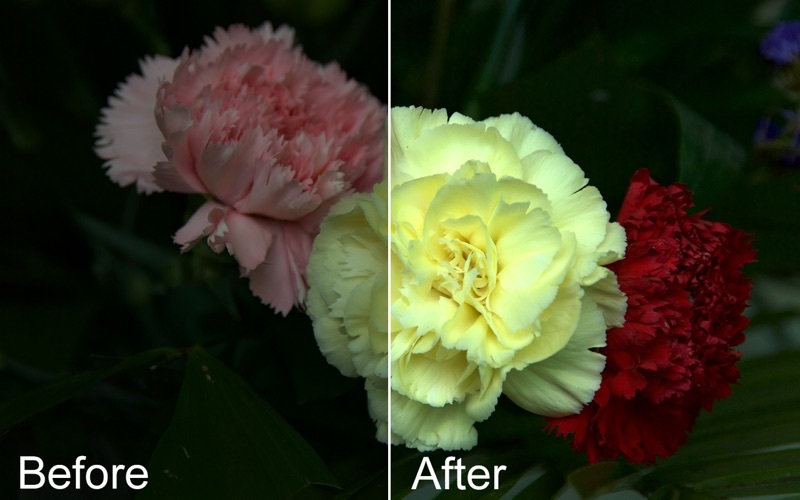 To make the photo better, it can read information from RAW format photos, which helps to automatically set white balance, exposure, temperature and tint. In addition, you can do this manually. 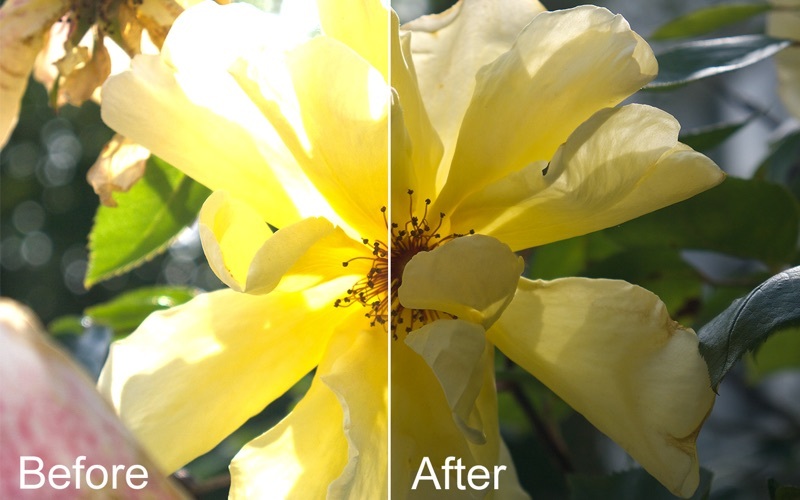 To better support this feature, it supports almost all RAW photo formats generated by various cameras, including Canon, Nikon. To find out which specific camera is supported, you can refer to this document(https://www.imacbits.com/supportcamera.pdf). In order to improve the editing efficiency, you can save the editing operation into the preset form, and don’t worry forget which value has been set.